All-natural handmade deodorant made with naturally deodorizing essential oils. This rub-on cream smells delicious and naturally absorbs moisture. Shea Butter, Virgin Coconut Oil, Arrowroot Powder, Cornstarch, Kaolin Clay, Pure Baking Soda, A custom blend of essential oils. Apply about a nickel sized amount to entire underarm, and reapply as needed to refresh! Natural deodorant doesn’t mask odors, it actually prevents them. 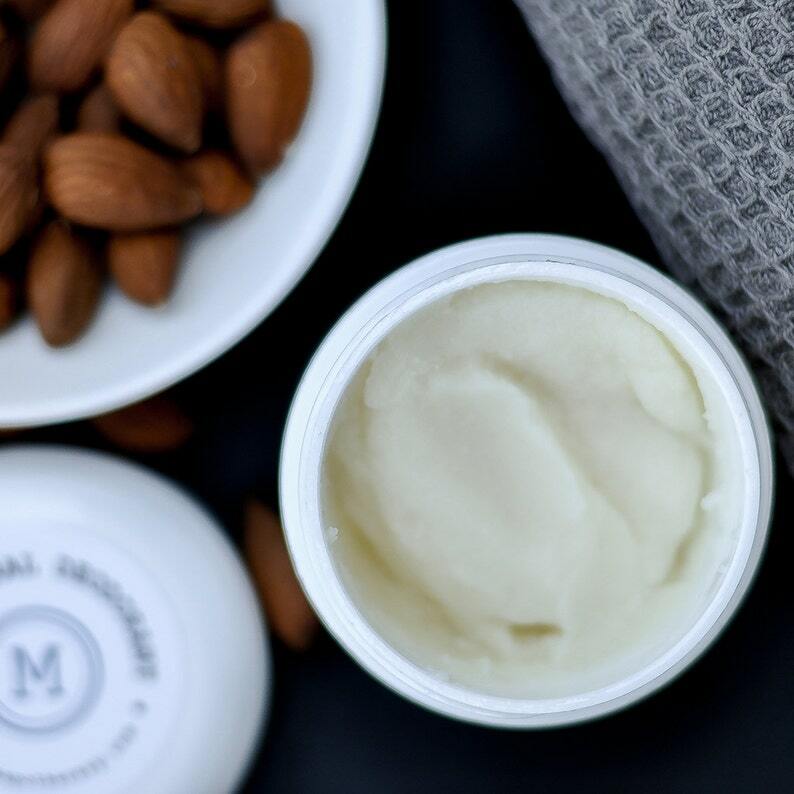 Because it’s aluminum and chemical-free, natural deodorant doesn’t prevent you from sweating (which is an important and healthy natural function). Unlike traditional deodorants that contain aluminum, natural deodorants won’t cause permanent clothing stains or clog your pores. Over time, you’ll notice that your underarms actually produce less sweat. When I first began making my own line of natural products, I was very, very hesitant to make a natural deodorant. At the time, prescription strength anti-perspirant was the only chemical-based product I was using, and I wasn’t willing to compromise on hygiene. As a South Louisiana resident, I’m no stranger to sweat. In fact, I’ve always been convinced that I have overactive sweat glands - comparable to a grown man twice my size. But after some convincing from a trusted friend who swore by a coconut oil and baking-soda based deodorant cream, I began working on my own formula to find out if it was, in fact, possible to create something that actually worked (and didn’t smell like I took a bath in patchouli). 22 variations later, I had the perfect batch! (Ok technically variation 6 was the perfect batch, but naturally I didn’t write that one down so it took 16 more tries to nail it again. And yes, I wrote it down this time. Lesson learned!) The result: I now refuse to use anything else! I’m going to get personal and overshare for a minute: I don’t smell like armpit halfway into the day like I do with traditional deodorants. And you know that weird gunky buildup on the pits of your shirts? That doesn’t happen with this stuff! I do reapply a few times throughout the day, in particular after I’ve walked outside and gotten a little sweaty, which is a great odor preventative practice. Although everything I’ve read says that natural deodorants don’t prevent you from sweating, and while I do still sweat, I’ve noticed a very significant decrease in how MUCH I sweat. Interested in trying it out? Send me a note and I’ll include a free sample with your next order!